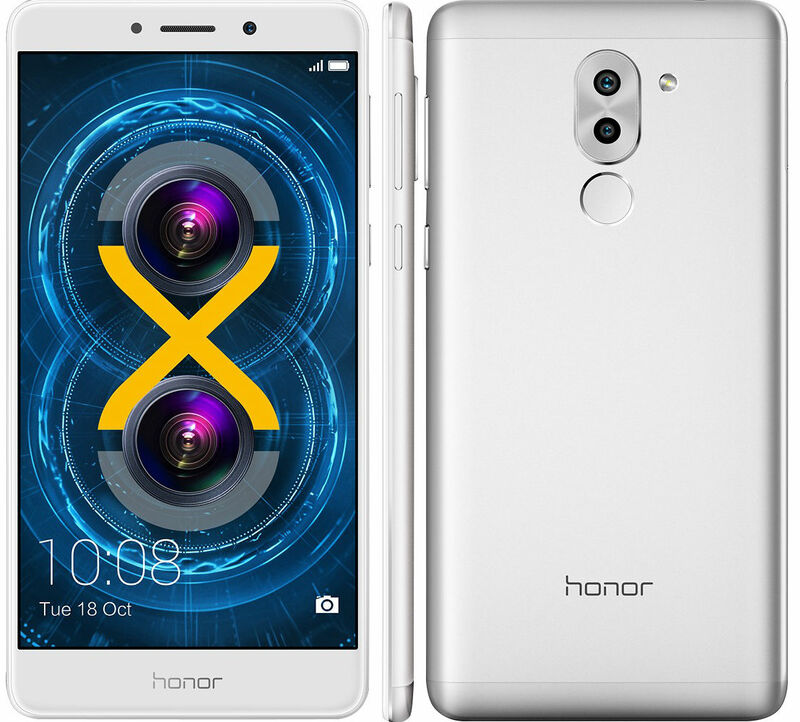 This week's Deal of the Week is the unlocked Huawei Honor 6X 32 GB LTE Android phone which is back at its Black Friday price of $149.99 at Best Buy. The regular price of the 6X is $199.99. 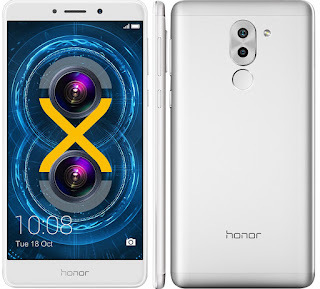 It runs Huawei's own Kirin 655 SOC and has 3 GB of RAM, a 5.5" HD (1920 x 1080) screen, fingerprint reader, SD card slot, dual 12 and 2 MP main cameras, a 8 MP front facing camera and a non-removable 3340 mAh battery. The 6X runs Android 7.0 Nougat. If supports quad-band GSM, UMTS 850, 1700, 1900 and 2100 and LTE bands 2, 4, 5, 12 and 20, which means that it covers T-Mobile and AT&T's main bands. $25 off Motorola E4, E4 Plus, G4, G4 Play, G4 Plus, G5 Plus and G5S Plus phones and six months free service on Republic Wireless. Click the "Clip Coupon and save $25" button to get the sale price. Unlocked Motorola E4 Plus 32 GB LTE Android phone $169.99 ($144.99 with coupon) reg $199.99 . Motorola Moto E4, LG X-Power or Samsung Galaxy J3 free with port-in and activation on $50 unlimited plan. Free and Discounted phones for port-ins: LG Fortune free, ZTE Overture 3 Free, Samsung Galaxy Amp 2 Free, CPO Alcatel One Touch Flint 99¢, CPO ZTE Sonata 3 99¢, CPO Alcatel Streak 99¢, CPO Alcatel Pixi Theatre 99¢, CPO Samsung Galaxy Sol 99¢, CPO HTC Desire 520 99¢, CPO HTC Desire 625 99¢, CPO LG Risio 99¢, CPO LG Spree 99¢, LG Harmony $9.99, Samsung Galaxy Amp Prime $19.99, LG Stylo 3 $29.99, Alcatel PulseMix $39.99, LG X Charge $49.99, Alcatel Idol 4 with VR Goggles $49.99, Samsung Galaxy Halo $49.99, ZTE Blade X $69.99, ZTE Blade X Max $99.99, Alcatel Idol 5 $119.99 when you port your number to Cricket. Amazon Prime On Us: Free phone and free year of Amazon Prime when you port your number to MetroPCS and and activate on an unlimited LTE plan. Updated 12/16: Price cuts and new items since Sunday are in bold. Motorola Holiday Sale - Discounts on 5 phones plus Moto Mods. Dennis, I'm not sure the HSN Tracfone Galaxy Luna includes any free minutes or time. A similar offer did include both for quite a while, but for the last few weeks the phone is listed as including pre-programmed TMFL, but does not mention included airtime. Promotional package includes 400-minute PIN (tripled to 1200 minutes, 1200 text messages and 1200 MB of data) with 365 days of service. To activate and redeem your promotional service, please visit activate.tracfone.com or call 1-800-816-0663. Thanks Dennis! I missed that everytime I've looked at this item in the last few weeks. Another week of terrible deals. I'm kicking myself for not getting a $50 Sky Pro when they had 'em. The Straight Talk iPhone 6 for $199 sold by Straight Talk website is listed as Verizon service how can that be confirmed to be on Verizon before purchasing? Is there a "V" on the box that someone at Straight Talk can verify before purchasing or is it based on zip code where the iPhone would be used or both? There's no V on iPhone boxes but there wiil be an envelope taped to the box containing a SIM. The envelope should say that the SIM can be activated on either Straight Talk or Total Wireless. If it mentions Total Wireless you can be sure that the phone will be on Verizon. I have an AT&T 4g LTE Sim card through FreedomPop. Is it possible to buy an AT&T prepaid phone without also having to sign up for AT&T prepaid service? Yes, if buying from the AT&T site you have to choose a plan and an airtime card gets added to the cart. You can remove the card from the cart and not be charged for it. The phone comes with a pre-activated but unfunded SIM. When you get the phone replace the SIM in it with your own AT&T or AT&T MVNO SIM. You can throw away the pre-activated SIM. It will be cancelled if you don't fund it within 20 days. Can that sim be put on the paygo plan for 25 cents per minute, so it will last six months and the phone can be unlocked then? And then pop it out and put in, let's say Freedompop, and FP still works? Sure, but keep in mind that the paygo plan requires a topup of $25 every 90 days or $10 every 30 days. So it will cost $60 for that unlock. Hi Dennis... the Huawei Ascend XT2 in the outstanding prepaid deals is sold by Walmart, not Best Buy. The link is fine though. Thx.. Anyone know if Family Dollar still has the $29 Moto E4? Or if the regular price really is ~$35? Family Dollar's $29 Moto E4 deal ended two weeks ago. The full list price of the Verizon Prepaid E4 is $69.99. I don't know how much Family Dollar is charging for the phone currently. New to all of this pre-paid stuff. Basic question: if I buy the AT&T Prepaid Huawei Ascend XT 2 at Walmart, do I HAVE to use it with AT&T Prepaid, or can I use it with, say, RedPocket using the AT&T sim? AT&T Prepaid phones will work on AT&T MVNOs including the AT&T flavor of Red Pocket. Huawei Union for $19.99 and Samsung SIII for $29.99. Franklin Wireless R850 4G LTE Hotspot is Free with activation. Any recommendations on a super cheap Android phone that I can use primarily to download the Google home app on and leave at my elderly moms home? Any $10 clearance phones out there? Just get her the free phone when you port a number, can't beat that. New BLU Life One X3 on Amazon for $149.99. Very good specs overall, with dual-SIM for GSM use and 5,000 mAH battery. The phone market is such that there are many other alternatives to BLU... from companies that aren't nearly as malicious to their customers. Friends don't let friends buy BLU. The BLU Life One X3 Amazon price is $100 off the regular price, and it probably won't last long. Their sale price on the S1 only lasted 2 days. The BLU Life One X2 mini is also on sale for $119 in gray. That is $60 off. This is a phone with good specs for people who like narrower Android models. @10:43 AM: "BLU...recently was destroying phones with a remote updated (and they didn't stop and try to undo it until there was a lot of outcry for a long time)"
Total BS. Only one model was affected, the One Life X2. No BLU phones were actually destroyed unless their owners lost their tempers and smashed them. The phones were not 'bricked.' BLU told users to just keep entering any PIN until the phone did a factory reset. They also put out a fix within one week (Dec. 4) that let the update complete properly. The only other "destruction" was encountered by owners who were too ignorant or lazy to follow common-sense instructions to backup all their data before updating the firmware. Hard to feel sorry for those who gambled and lost, and ignorance is no excuse to slander BLU. TL:DR for what "AnonymousDecember 14, 2017 at 1:41 PM" said: A company bricking your phone is good! "New BLU Life One X3 on Amazon for $149.99. Very good specs overall, with dual-SIM for GSM use and 5,000 mAH battery." Let's look at the specifics of this phone, and move past the issue of this Chinese importer's rock-bottom reputation. This specific device gets an atrocious rating on Amazon. Less than 2.5 stars, in the bottom half for sure. Oh and a few weeks back Blu released a Firmware Update bricking all Life One X2 Users from using there phone. Never would respond to messages until 2 days after it occurred. There response was to wipe your phone out and delete all your contacts and photos. Because they were too busy to test there update and was in a RUSH to FORCE the update to all phone's. Now just two weeks later the Life One X3 releases what a coincidence... Murder all Life One X2 phones and then release the Life One X3. Worse specs then the previous flagship phone. Warning : Do anowledge that if your phone is accidentally bricked that the support team will say there sorry for the mistake and to wipe your phone... Even though I wiped my phone it is still bricked asking for a pin." A guy that left a 2 star rating for the device said: "Time to educate the public. Time to start making better phones." The abysmal star rating is actually skewed a lot higher than it should be because one of the two who left 5 stars for it admitted they never actually bought or used the phone. Again, there are better devices from much better companies. Consider the ones that are good enough values to actually make it onto Dennis' list, and read the reviews. "Time to educate the public" indeed! "More copy-paste nonsense to forget"
False claim. If it is copy-paste, I defy you to come up with the source for it. You can't. BLU installed the spyware/malware in only SIX models? And you are attempting to defend BLU? You do act like you are paid by them when you are telling falsehoods about the ADUPS malware/spyware: Hint: denying the reality of the spyware/malware won't help the cause. But there you are soft-pedaling the spyware attack. And then you have the "others do it to" defense of BLU's attacks on its customers. Well, one thing is for sure, anyone reading your defense of BLU will come away even less likely to do business with them. "So to say we can never trust BLU with Android ever again is just stupid…"
Actually, it is stupid to trust BLU when they have been caught doing this multiple times. They should not have done it even once, let alone more than once. "Bloggers just made that up" about the BLU adware/spyware? You are being delusional. Actually BLU made this up by intentionally installing malware/spyware on phones. By bashing bloggers who point out BLU's attack on its customers, you are blaming the messenger. I simply blame the company that attacked its users, and tell the simple truth. Adups is widely-used commercial software used to manage Over-The-Air (OTA) software updates. BLU says they did not know that Adups was collecting more personally-identifiable information (PII) than was needed to manage software updates (some PII IS needed for OTA updates). You accuse BLU of knowing about all the PII was being collected by Adups OTA software, yet intentionally installing it as “spyware” to “attack” its customers. You have no proof or even any evidence that BLU knew everything Adups was collecting. Your wild accusation that BLU knew are irresponsible because they are not based on facts or even reasonable evidence. If BLU is truthful and did not know all the PII that Adups was collecting, you have no case to make against them for ‘attacking’ by installing ’spyware.’ Phone sellers and manufacturers are not suicidal. They do not intentionally take risks that could easily destroy their businesses. If BLU, a US company was systematically attacking its customers with spyware (to somehow help China?) as you imagine, they did a really lousy job. They have sold more than 435 different phone models. Why only install Adups on 6 low-cost phones? It makes no sense at all. BLU certainly did not install Adups on any new models after researchers discovered how the Adups on BLU R1 HD was collecting too much PII. The other 5 BLU models were already running Adups. This is all just a big, unsupported conspiracy theory that you seem to copy-paste after every post that mentions BLU phones. BLU convinced Amazon twice that it was not spying on its customers. You think you know better, but you have no facts to back up your wild claims. I suggest that anyone reading the above damage-control press report about BLU and the ADUPS spyware independently research the issue. Adups admitted that it installed the wrong firmware on BLU phones. It doesn't sound like BLU intentionally attacked its customers with spyware. "...the software was spotted in the Blu R1 HD smartphone, and Kryptowire informed Google, Amazon, Blu, and Adups of the issue. Both Blu and Amazon were fast to react to the issue. Blu has issued a software update that will apparently fix the 'potential security issue', which is said to affect 120,000 of its devices. Furthermore, the Blu R1 HD, which was being sold on Amazon exclusively, is no longer listed on the website as well. Amazon is also informing users that their smartphones will receive an update. AdUps itself has defended itself and its intentions, saying the data is not linked to the Chinese government. According to a document provided by Adups to Blu to explain the issue, and obtained by the New York Times, the company said the version of the software that collected and transmitted information was meant for certain Chinese manufacturer that wanted to monitor user behaviour. It was not meant for smartphones in the US. "This is a private company that made a mistake," the company's lawyer told NYT. Adups claims that its software is present in over than 700 million devices in 200 countries, including smartphones made by Huawei and ZTE. Its service portfolio includes smartphones, tablets, and automobile entertainment systems." "A newly discovered malicious app is found on China-made mobile devices running the Android OS. This is a baked-in system app used to update the device’s firmware but is found to also steal personal information, among other things. A blog is recently published about this malware by Kryptowire. Already we have had inquiries on whether we detect Adups or not. The answer to that is I believe we do. You see, the app in question, which goes by the package name of com.adups.fota, has a couple of variants. There is an older version seen around 2014 and a newer version that emerged mid-2016..."
"AdUps itself has defended itself and its intentions, saying the data is not linked to the Chinese government." Yeah, it's not linked to the mainland China government. It's linked to entirely independent companies in which the Chinese government has a majority ownership share. "AdUps itself has defended itself and its intentions"
I'd expect no malware scam company to do anything different. And here is another expect opinion from the security field, Brian Krebs "Krebs On Security"
Kryptowire researchers say they stumbled upon ADUPS’s spyware capabilities by accident after purchasing a $59 BLU R1 HD smart phone from Amazon.com for use during international travel. Prying apart the phone and the ADUPS software, they discovered that all call records and text messages to and from the device were being digitally copied, encrypted and secretly forwarded to a server in Shanghai, China every 72 hours." Who do we believe: the experts, or those who have to gain by selling BLU phones and covering up the flaws? Those who say "Trust the Chinese government, they are here to help you" or those who actually know what they are talking about? Now see "Damage Control Guy" pipe in and say how great it was that BLU malware devices sent in your information every 72 hours, which makes it OK since it wasn't every 24 hours." BLU "Damage Control Guy" is putting gasoline on the fire. He's pretty funny. detailing about how BLU/ADUPS have tried to keep the victims of their spyware attack uninformed about it. The list of "merely" 6 models of infected phones which BLU foisted on the public might even be larger. "Things really came to a head it was discovered that AdUps’ software was also found in Blu Product’s affordable unlocked Android phones. Now, while AdUps is actually on many such phones, the fact that the spyware was sending user data to a command and control center in China raised all sorts of red flags for the US government. Blu quickly tried to distance itself and promised to remove all traces of AdUps from its phones. Sadly, it doesn’t seem to be the case." Slashgear in the same article properly calls this beloved component of BLU phones "spyware" and specifically goes into how it meets that definition. "Only" 6 BLU models have been designed by BLU to assault users in this fashion. That's like saying "Only one Samsung phone model is exploding, no worries, right?" "Kryptowire has developed tools aimed at detecting software that can violate privacy and security policies that are not necessarily classified as malware. In many cases, these applications are benign, but exhibit behavior that is non-compliant with organizational, industry, and government policies." ". In many cases, these applications are benign"
I've learned in cases like this, it is best to trust the companies to determine what use is benign or not. BLU knows what is best and will never do anything bad with our personal info. What anti virus checkers call malware I call "free software for me!!" The only common sense that some might ignore is "Never buy BLU". As for what really happened with the bricking, let's consult tech experts instead of a guy who goes around claiming malware/spyware isn't malware/spyware. "BLU bricks phones, ignores complaints [UPDATE]"
"Days after releasing a disastrous software update to a smartphone owned by hundreds, maybe even thousands of users, BLU remains silent on the subject. This is the opposite of what a company like this is supposed to do at a time like this. Instead, the only thing BLU has submitted to the public in the days since the software release are several posts about the futball team they sponsor." Sometimes bricking is bricking and spyware is spyware. You just can't get around it. If you buy BLU, you have gambled and lost. The spyware attack affected "just six" models. The "lets brick their phones and hope they don't notice" attack affected "just one". Gambling and losing... that is what you do when you go with a company with a track record like BLU. That's simply the truth, and if there is any slander, it is in your anger at the victims of BLU in the bricking case. Calling BLU an "American company" is disingenuous at best. They are merely a US-located shell thst imports the worst no-name junk from China, in a reckless fashion and without any sort of due diligence, and stamps their name on it. This has resulted in the well known scandals. A wise comparison shopper can easily find better deals in the "budget" category from much more reputable and less risky manufacturers. Ones that are proud of their name. I love the Anonymous damage control rep from BLU! maybe Best buy should consider not selling their phones again. Does anyone know where Blu really started or came from? I tried to post some information about the founder of BLU a few months ago when people were trashing the company, but both posts were blocked (or missed in the spam bucket). Very interesting Brazilian-American guy. You can search for his name, Samuel Ohev-Zion. Look for a long interview he did with the Miami press about BLU's business philosophy and phones. Very enlightening.